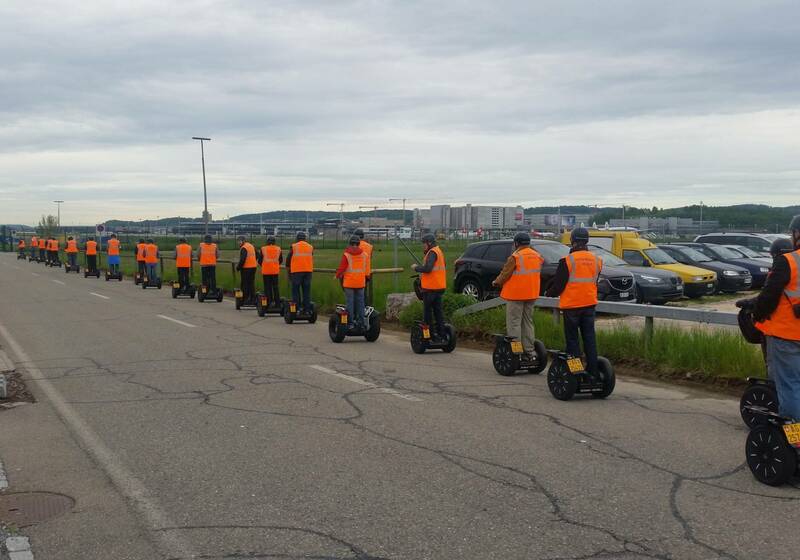 Explore with the Segways or E-scooters the area arround the Zurich Airport. 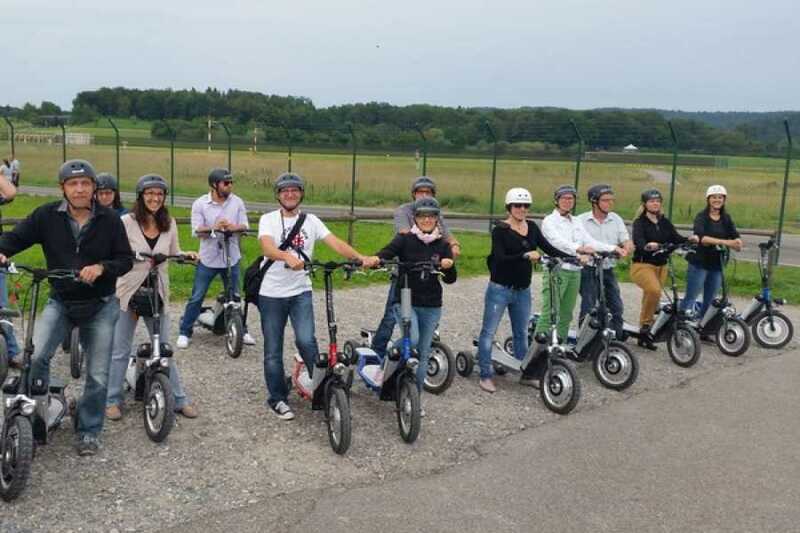 Group size: This tour is available for closed groups only, minimum is 6, maximum is 14 persons (respectively 18 persons for E-Scooters). Larger groups are possible but please ask us for a quote and availability by phone or email. You will receive our offer immediately. Minimum age 16 years. Valid drivers license is required. Good footwear (No flip flops, open sandals or high heels) as well as for the current climatic conditions appropriate clothes recommended. Wearing a helmet is mandatory (helmets will be provided) and general ability to drive (no drugs, no alcohol) is assumed. 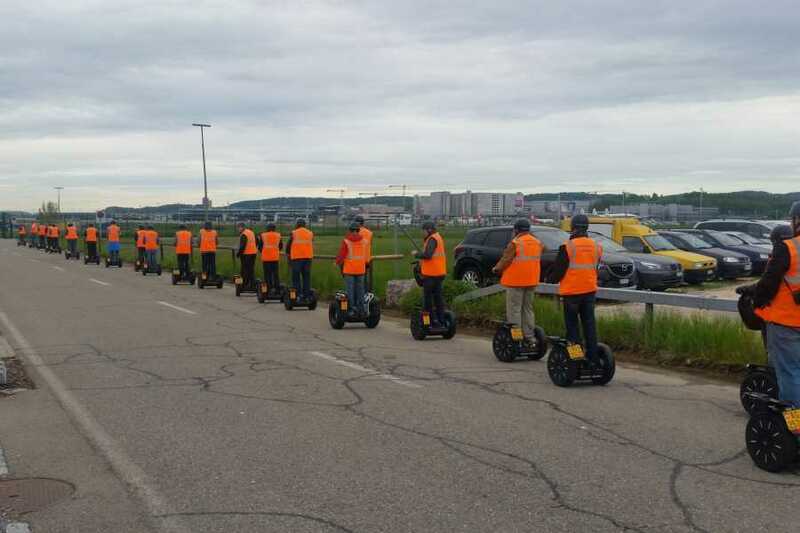 The Segway and E-Scooters Tours will only take place in reasonable good weather conditions. Therefore, we cannot guarantee that a booked excursion can take place on the scheduled date/time. Due to weather or security reasons cancelled tours can be rescheduled at no further costs. Before departure, the Tour Guide informs you about the Segway and/or a E-Scooter driving technique. Then a practical driving training takes place on a parking lot held by experienced instructors. You will get many exciting informations about the history of the zurich airport and the airline operations. With a lots of backround information about the Zurich Airport. A perfect experience to ride a Segway and/or a E-Scooter.